When it comes to course machinery, Surbiton Golf Club has done things the same way for many years. But times are changing, starting with the delivery of its first full fleet. The lease deal with Toro and Reesink Turfcare is a clear signal of the club’s desire to deliver a golfing experience to members that will be the envy of other clubs in Surrey. When Andrew Kerr joined the club in Chessington as head greenkeeper, he went straight to work with the Greens Committee to deliver a complete overhaul of the way the club acquired and replaced its machinery. 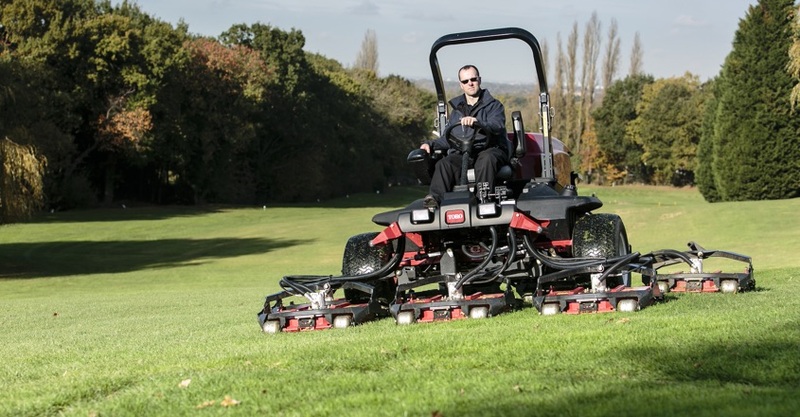 Included in the fleet are four Greensmaster 1000 and three Greensmaster 1600 pedestrian mowers, two Reelmaster 5510-D ride-ons, two TriFlex 3420 hybrids, one with an 11-blade set-up and one with an eight, a Groundsmaster 4700-D, two Groundsmaster 3500-D mowers and a Multi Pro 5800-D. So, where there is a will there is a way. You don’t need the biggest budget to get the equipment you want, or the finish you feel your members deserve. Look at the options with your management committee and where relevant the membership. Find the best people in the dealer and distributor network to talk to about what you want to achieve and consider that, just like a picture, a demo is worth more than a thousand words.